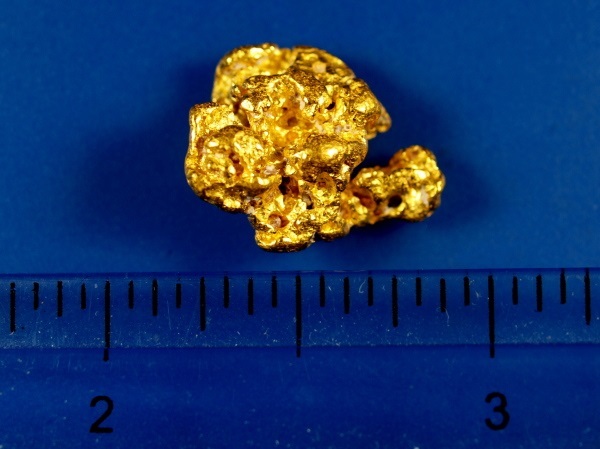 This amazing gold nugget comes from Western Australia, found in the famous gold country of Kalgoorlie. 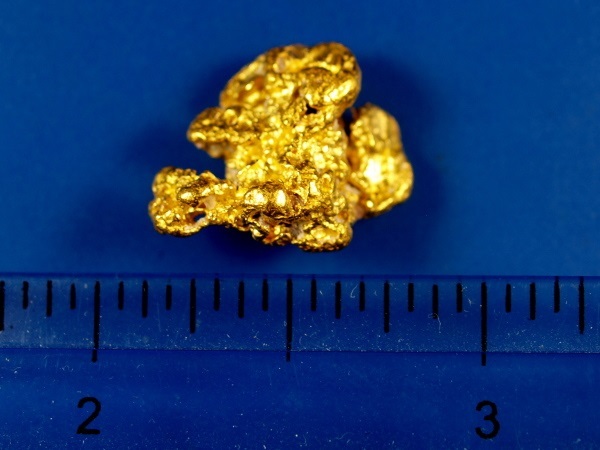 This one has exceptional bright gold and a really nice shape. It weighs 6.82 grams.